At Champlain College there is an annual elevator pitch competition. Students compete against their classmates for cash, honing their networking and rhetoric skills. They get ninety seconds to make their case in three categories: job seeking, business idea, or non-profit. I think this is such a cool idea and a useful skill to have. 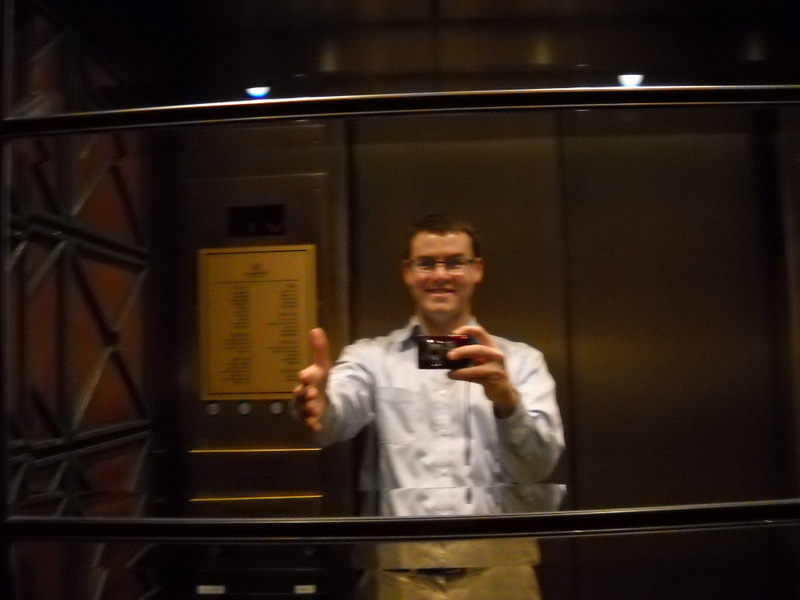 Librarians could definitely benefit from practicing their own elevator pitch. Who knows the next time you might find yourself in a golf foursome with the president of the college, seated next to the mayor at a restaurant, or simply trying to convince a student about why they should use the library. In the competition, an elevator pitch consists of four parts: an introduction, talking points, an “ask,” and a follow up. For the introduction keeping it simple is fine. This part is about establishing who you are and developing a connection with the person your pitching. You can elaborate on your talking points a bit to make a convincing case, but try to keep it to two or three points It’s important to keep your concept focused, or people won’t remember it. If this networking and pressing the flesh shtick seems a bit salesperson-ey, that’s because it is. We can’t be content to simply sit behind a desk and do our jobs. We have to sell ourselves and be ambassadors of the library. We’re in competition with a lot of competing interests so we need to build relationships, network and make people take notice of us. An elevator pitch is a good weapon to have in your arsenal. Pecha Kucha is a really fun and interesting form of presentation. Being able to get your point across in a brief period of time is a necessary skill in this era of ADD and shortened attention spans.